Athens is a city full of life, with a rich history, many sites to visit and even more things to discover. Whether you are up on the hill of the Acropolis, admiring the Parthenon and enjoying the sun and clear blue sky, or are relaxing on a warm summer evening at a tiny restaurant who’s tables have spilled out onto the street, you will find something to do in Athens at any time of day. We’ll collect some suggestions here, but the city is alive and we can’t list everything, so remember to explore! Obviously, if there is one place you need to visit during your stay in Athens, it is the Acropolis, one of the most recognizable pieces of history in the world. 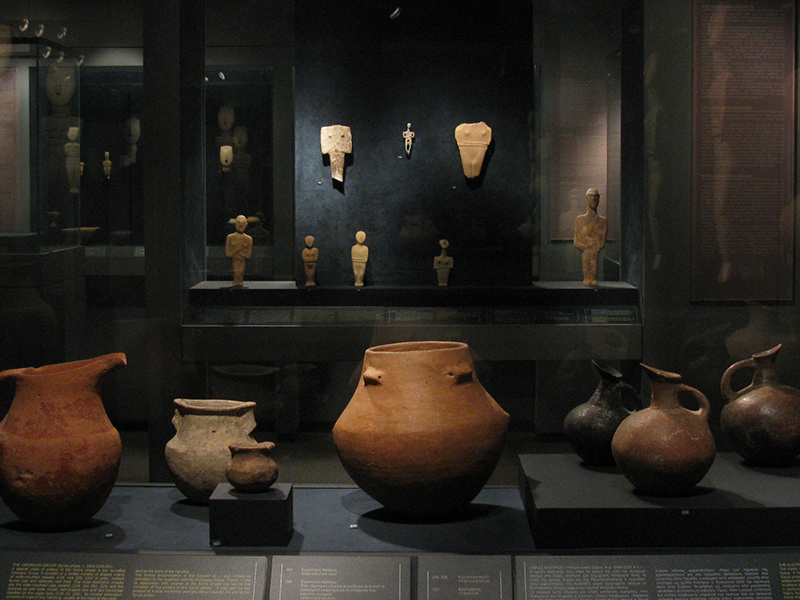 Luckily it located right in the heart of Athens and easily accessible. 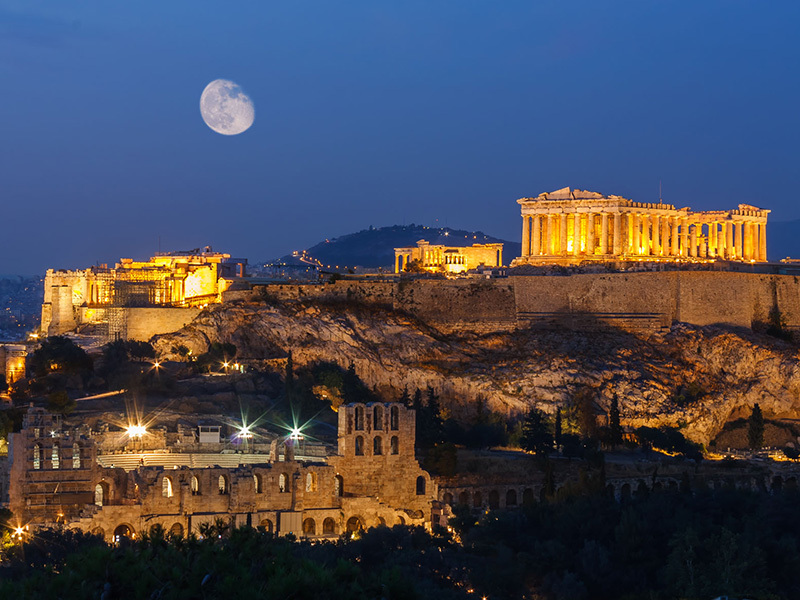 No matter how short your stay, you will have enough time to at least see the Acropolis and the Parthenon. Mind you, everyone else will be there as well, so our advise: Go early (before 10:00AM) to avoid the crowds. 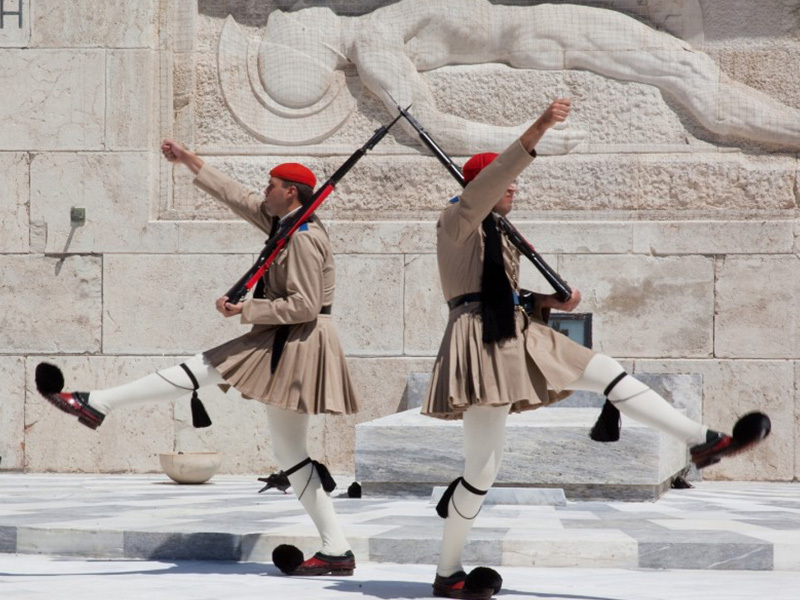 Alternatively, get a combined ticket from one of the other archeological sites and skip the queue at the Acropolis. 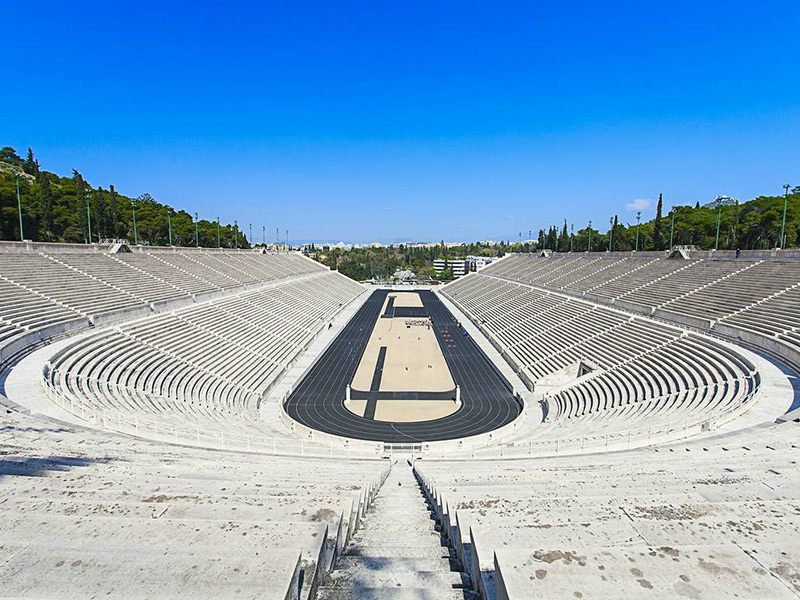 The Ancient Agora, the Roman Agora (easily confused but different locations), Hadrian’s Library, the Kerameikos, the Temple of Olympian Zeus, the Lykeion, all the sites of the city centre can be access with a combined ticket. You buy it at one of the sites and then visit any of them at your leisure, skipping the other ticket queues (most importantly the one at the Acropolis). If you are in Athens for a few days, you can split your archeological site seeing into bite sized chunks. If you are only here a short time, you can pack your day full of history and see a lot in one day. If you plan to cram as much into one day as possible, our suggestion would be: start the day with a hearty breakfast, then head to the Ancient Agora. Get your tickets there and enjoy a stroll though the site and its small museum. 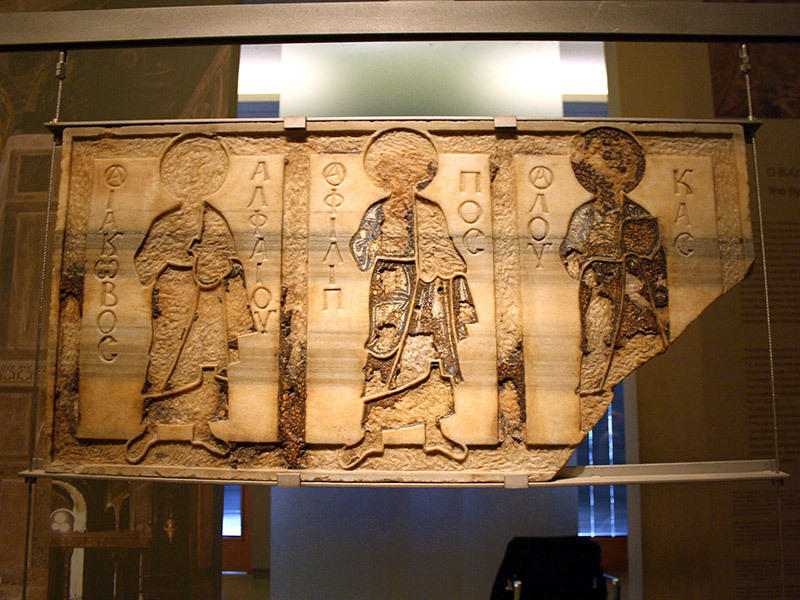 The Agora will naturally lead you to the entrance of the Acropolis. Leaving the Acropolis head across to the museum. It will require you to purchase a separate ticket, but the visit is well worth it, the architectural design creating a unique experience. 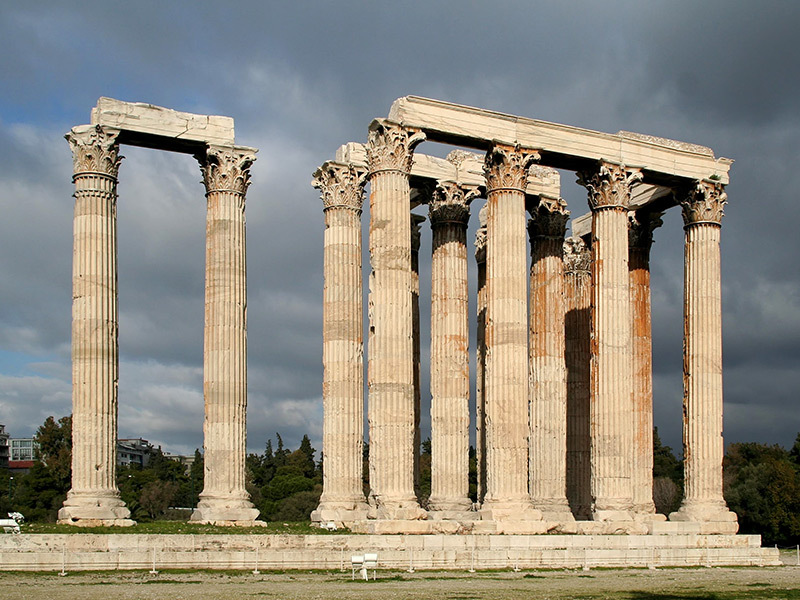 Continuing in the direction the Agora and Acropolis had pointed you, you cross a main street and will have reached the Temple of Olympian Zeus. 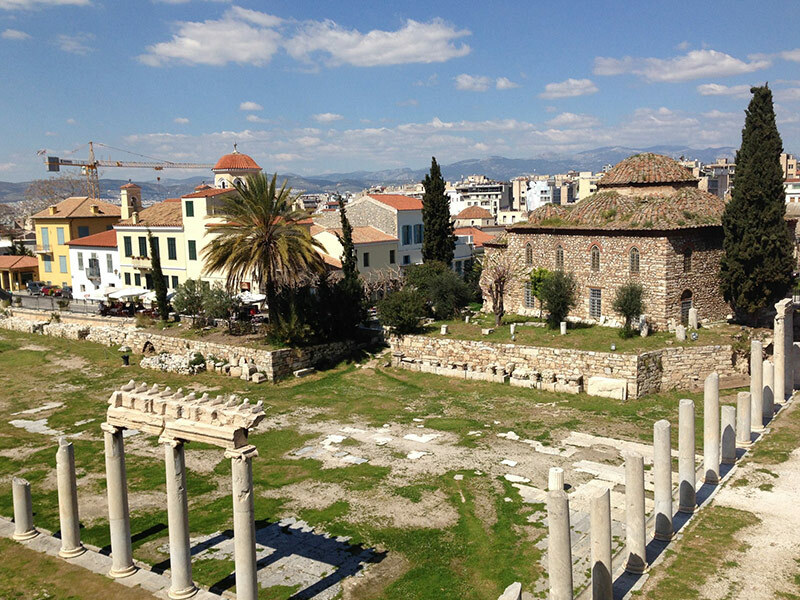 Stroll back through the Plaka neighbourhood and decide if you want to enter the smaller sites like the Roman Agora or Hadrian’s Library on your way back. Either way, you’ll have seen a lot. And not many cities provide the opportunity to power through so much, if you have the energy to do so. With good weather most of the year and a lively city centre, Athens is a great city to explore. The hop on / hop off site seeing buses can be a good way to get a first impression and idea of where everything is. Moreover, they make for a convenient means to visit the various museums – simply enjoy the ride and hop off whenever something sounds interesting, then grab the next bus when you are done. Most of the time though you will be out and about on foot. 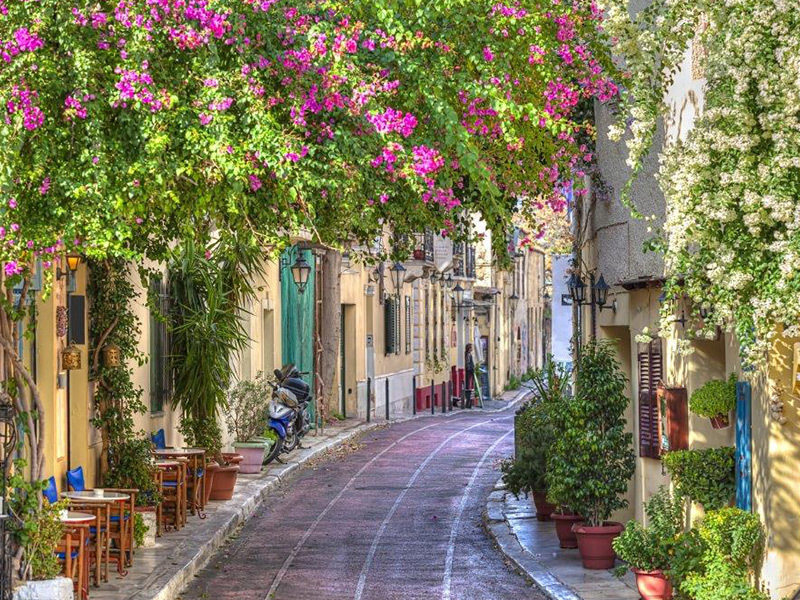 You will want to stroll through the old neighbourhood of Plaka, with its narrow streets and alleys. Sometimes you may not be sure “Am I allowed to go that way?” The answer will be yes. And if it turns out it was a dead end and you are standing in front of someone’s garden, don’t feel embarrassed, they are used to it. Also popular for a stroll, especially on Sundays, is the year long flea market in Monastiraki. If you have an eye for old things, you can find the thing you did not know you were looking for. Just remember: if you buy it, you also need to take it home with you, and you wouldn’t be the first visitor to Athens who scrambles to buy an additional suitcase for the trip home. But the city centre is also home to a different kind of market, the Vavakios Agora -the Athens Central Market – is housed in a 19th century market hall, where meat, fish, cheese and vegetables are on offer. On the square across the street are stalls with fruit and vegetables, and around it stores offer spices, nuts and other things that make this a favoured spot for foodies around the world. Here we do have to kindly ask you to refrain from bringing seafood back to the hotel though, in consideration of the next guests, as the smell is very difficult to get out. 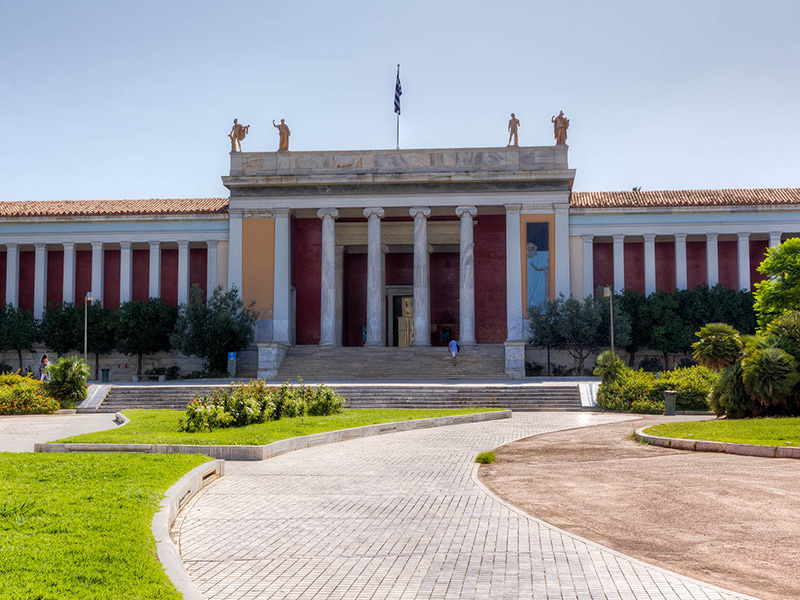 If you are staying longer than just a couple of days, Athens can be a great launching point for day trips. Cape Sounion and the Temple of Poseidon are only just over an hour drive from Athens, so if you rent a car or hire a driver can be combined with a trip to the coast and lunch by the sea. Alternatively, if you have a late flight, this trip could be saved for the last day, heading straight to the airport at the end of it, and not re-entering the city at all. Delphi, the site of the famous oracle, is a 2,5 hour drive from Athens, still very much a manageable distance. A longer trip, for those with extra reserves of energy, and sometimes combined with Delphi by those who truly want to cram as much into their trip as possible, would be the Unesco World Heritage Site of Meteora and its monasteries perched high on rock and sandstone pillars. But even without a detour for Delphi, Meteora is a well over 4 hours drive from Athens. Far, but not just as far and in the opposite direction, you could reach the ancient site of Olypmia. While travelers regularly do this, depending on traffic Olympia can be a 4 hour drive, meaning you’ll have to leave early and will return late. On the way you can stop in Corinth or do a small detour to Nafplio. Don’t want to drive? The islands of the Argosaronic Islands are beautiful and easily accessible from the port of Pireus. Aegina, Hydra, Spetses and the other islands allow you to escape the city for a day and still be back for dinner. While especially advisable if your trip to Greece is otherwise limited to Athens, and thus allowing you to get at least some island flare, even if you are planning a week or two on the larger islands, the Argosaronic can offer a very different atmosphere than the more party oriented islands such as Mykonos or Santorini.